For a very long time, there was no governing body or any sort of authority over the industry of Real Estate. And all this was having adverse effects on customers in a major way but even the developers were also feeling the heat of the changing dynamics of the market. And cut to the year of 2017, the government of India took a prolonged and much required step of introducing the regulatory body of MAHARERA in the fraternity of Real Estate as a long term objective with of benefiting both the parties involved in the deal that are developers as well as the customers. And with the onset of the RERA regulations, not many of the developers were able to adhere to the rules and regulations of the authority as it required more authenticity and transparency in the overall dealings and business operations from the standpoint of the customers considering the fact that customers were getting badly affected without any authority over the fraternity. Right from the timely possessions and following the quality construction practices in developing the projects and showcasing only what will be in the final deliverables, there is a lot of onus and responsibility on the shoulders of the developers as they have to take astute care of delivering the quality services to the customers as they are the sole reason that the developer is able to curate a remarkable identity in the market beating the competition by staying dedicated to the rules and repute of MAHARERA. At the end of the day, it is the win-win situation for both the parties. 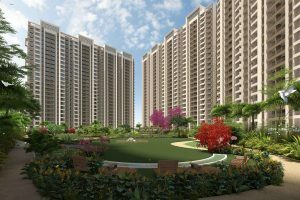 Regency Anantam is one of the RERA Registered Projects in Dombivali East and is from the thorough breed and legacy of Regency Group.